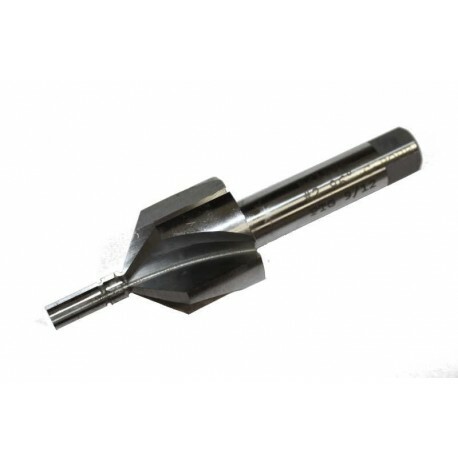 A Piloted Counterbore is a quick and accurate way to cut the recess for the bolt nose when rebarreling. The Counterbore saves time and gets better results compared to using a boring bar to form the recess. Removable pilot ensures concentricity of the bolt-nose recess with the bore. Straight Counterbores allow the bolt-nose recess to be cut to any depth, but it is up to the operator to control depth of cut. Stepped Counterbores limit the depth of cut to one repeatable dimension, and as such they are suitable for production runs with minimal operator effort. Counterbores ship with one standard removable pilot. Be sure to specify Pilot Size when ordering.